In September and October 2015, a small group of intrepid explorers will embark on a journey into the Antarctic wilderness, and into the unknown. 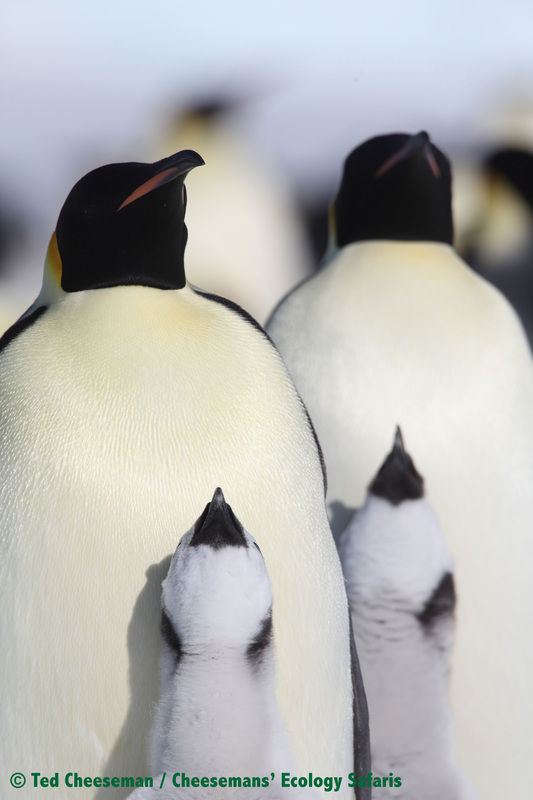 United by the sense of adventure and a shared love of the far South, we will undertake an odyssey to witness the most iconic Antarctic moments: Emperor Penguin families united after the long winter, as the sunlight of returns to the ice pack. To share in these special moments is a serious undertaking, as the Emperors are only together in their colony for a brief period as the winter wanes. In the Spring (October), the ice pack around Antarctica is at its maximum extent, more than doubling the surface area of the continent and extending in places for hundreds of kilometres out to sea. Spring storms and snowfalls prevent preclude access by air and summer stations are still unmanned. Most Emperor colonies are found on areas of fixed multi-year ice, locked against the continent deep within the vast rim of pack ice. By the time the ice breaks up in summer, the families are gone; chicks fledged and parents scattered to forage at sea. 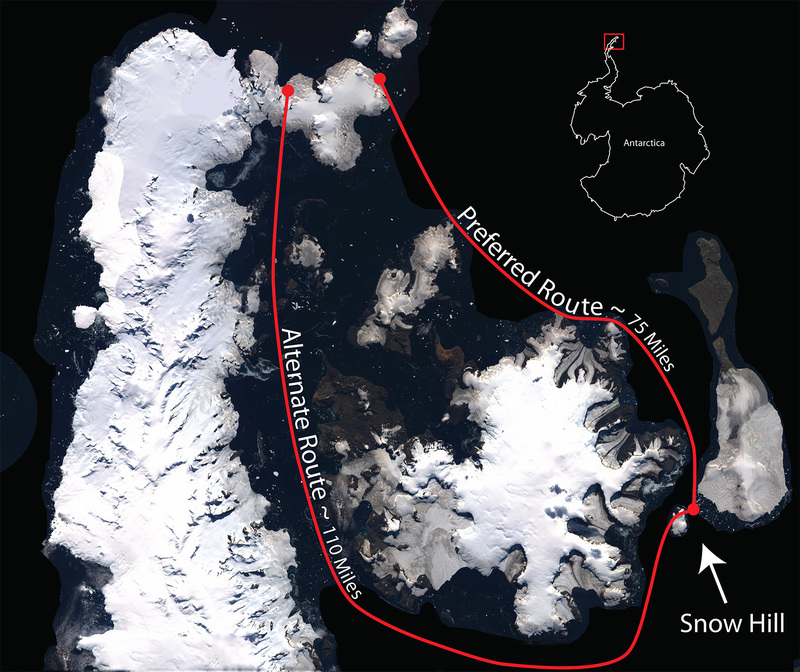 To reach them in October, the team plans to land on the western coast or tip of the Antarctic Peninsula – where the circumpolar current keeps the sea more clear of ice – and travel over land and ice to reach the northernmost colony at Snow Hill Island. The journey is far from simple, with many unknowns. 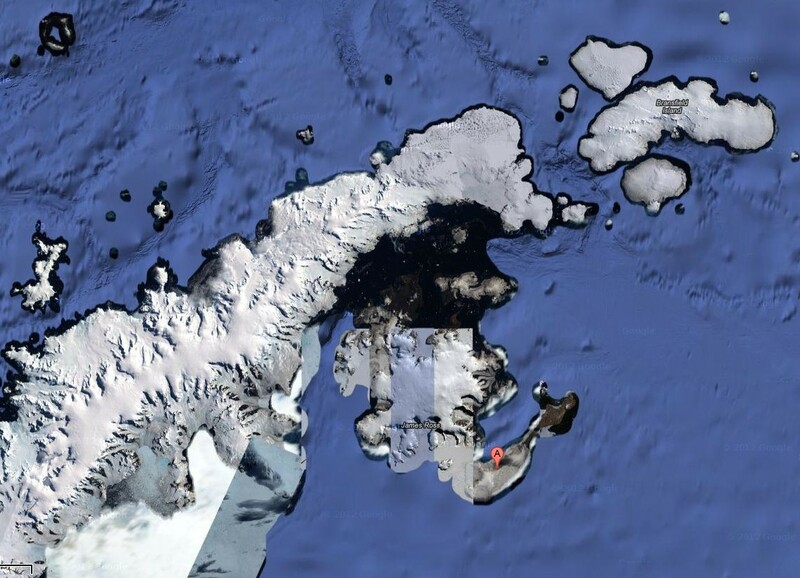 Snow Hill Island is located in the Weddell Sea, sheltered in the crook of the Antarctic Peninsula. The northern Peninsula and its islands, known collectively as Graham Land, is a region of stark contrasts and unmistakable natural beauty. Peaks of 2000m fall steeply in black rock outcrops and sweeping glaciers into the sea, which varies from solid ice in winter to deeply reflecting bays at the end of summer. 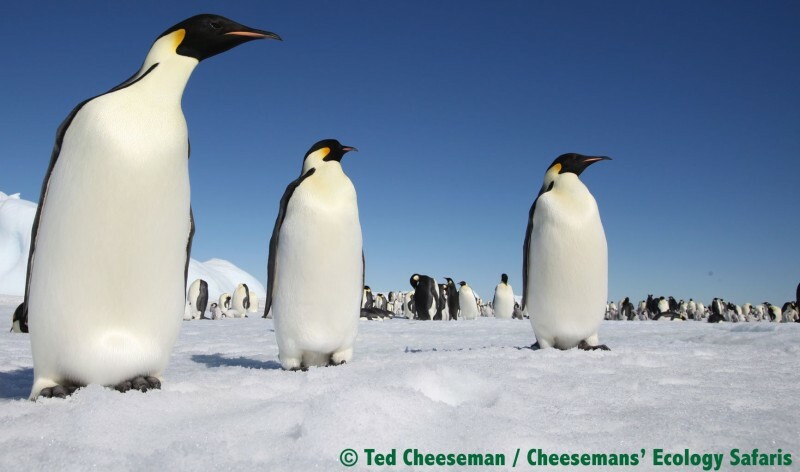 Falling just north of the Antarctic Circle, with an extensive, tortuous coastline, it is the area richest in animal life on the frozen continent. Peak daytime temperatures in the brief summer hover around 0C, plunging to 20 below in winter. 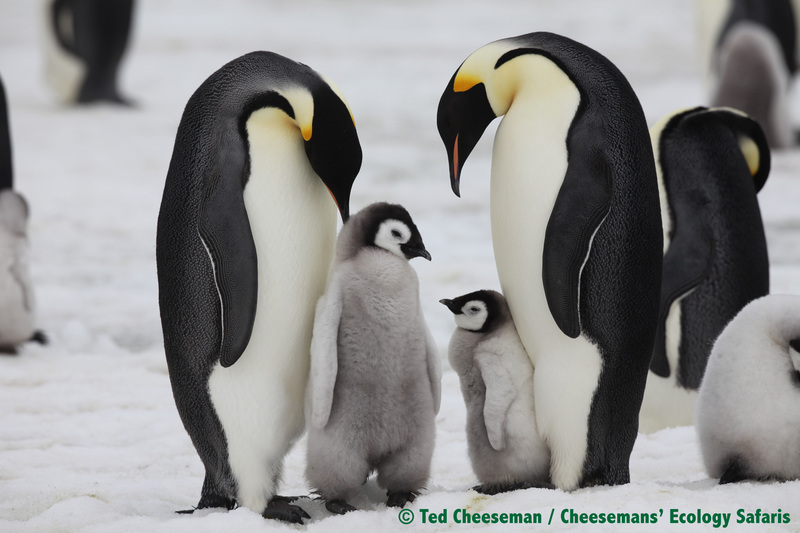 The Emperor (of ‘March of the Penguins’ fame) has a very specific social/breeding cycle which requires it to incubate it’s single egg through the austral winter and raise its chicks on fast/stable/multi-year sea ice. Due to this dependence on the ice, it is endemic to Antarctica. Global climate change is causing degradation and instability in these habitats, and concern exists that the Emperor will suffer exponential population decline through habitat loss and inevitable extinction in the wild before the end of the century. As there are areas in Antarctica that have far exceeded the estimations of rate of climate change, this may happen even faster than predicted. We have a passion to experience and document these beautiful animals in their natural habitat before it is too late. Doing so is a challenge, for which three options exist – overwinter in Antarctica near a colony (an awesome experience, but somewhat impractical), utilise an ice-breaker and helicopters to reach them very early in the spring (at great cost and environmental impact), or travel as true adventurers – over water, ice and land by boat, foot and ski. 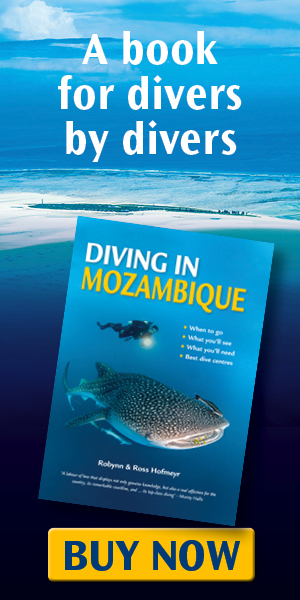 This is our intention – to undertake a self-sufficient, unsupported, environmentally and ecologically sound expedition. Sea ice expands and contracts by hundreds of kilometers each year in this extremely seasonal realm – conditions that have kept explorers and travellers far from these waters. Rare exceptions exist: one hundred years ago Shackleton and his men drifted to the east of where we will journey, trapped by the sea ice that eventually crushed their ship Endurance. One of the only published accounts of travel exactly where we will venture dates back to the Nordenskjöld Swedish Antarctic Expedition of 1901 to 1904, where expedition members undertook a self rescue after their ship, the Antarctic, was crushed by ice (much as befell Endurance). We hope we have learned from where these expeditions went wrong, and can explore in the region without losing our vessel to the ice. Map of the routes followed by members of the Nordenskjold Expedition. Their ship Antarctic was trapped and crushed by the sea ice, leaving the fragmented party to survive an Antarctic winter before miraculously becoming reunited and rescued. Shackleton’s Endurance was crushed by the ice further east in the Weddell Sea. We will use wind and human power throughout the month-long expedition, gathering at the end of September 2013 in Stanley in the Falklands Islands, from where we will sail in an ice-reinforced yacht across the Drake Passage and down to the Antarctic Peninsula. Our goal is the Emperor colony at Snow Hill Island. The route will then depend on the ice conditions, which vary each year based on weather patterns. The best-case scenario will see us able to sail to the tip of the peninsula to within 125km; we will then cross the sea ice and establish a base camp near the colony, from which we will do shorter forays. Worst-case, we are unable to enter the Weddell Sea at all, and must make landfall on the western side of the Peninsula and cross over – a distance of up to 200km of varied terrain, including sea ice, glaciers, mountain ridges and valleys. To assist with moving nearly 100kg of provisions and equipment per person, we will use snow kites to harness the wind and increase our speed wherever possible. At Snow Hill and throughout the journey the primary goal remains the same – to experience and appreciate the Antarctic wilderness in its purest form. However, each member of the team has particular interests in the area, and specific projects. The zoologists will lead a census of the colony and other insights into the biology of the penguins, while the expedition doctors are gathering physiological data and blood samples on the team itself. Others plan documenting the environment through photography and video, and seeking new discoveries in the area. After two weeks on the ice, the team will retrace steps back to the yacht and return to Stanley. Ted Cheeseman – Expedition leader – Ted has a degree in conservation biology but is usually found leading expeditions to far-flung corners of the world with Cheesemans’ Ecology Safaris. He is a highly experienced outdoorsman, skier, kiter and has many Antarctic expeditions under his belt. He is also a skilled wildlife photographer. Tom Hart – “Pengionologist” – Tom has a PhD in marine ecology and is a post-Doctoral fellow in the Department of Zoology at the University of Oxford, conducting behavioural ecology and population genetic studies with a view to informing the creation of new Marine Protected Areas in Antarctica. He has five years’ experience of working in Antarctica and three in the sub-Antarctic. Gemma Clucas – Zoologist and researcher – Gemma is completing her PhD in the use of genetics to study penguin populations in Antarctica. Her research at the University of Southhampton assesses their genetic diversity to improve designation of protected areas. This will be her third field season in the Antarctic. Ross Hofmeyr – Expedition doctor – Ross has a background in trauma/emergency/critical care/aviation/wilderness/rescue medicine and is currently specialising in anaesthesia and critical care at the University of Cape Town. He is no stranger to Antarctica, having served as the overwintering expedition leader and doctor to the South African National Antarctic Expedition for 16 months, and on several further expeditions and medical repatriations. He will be documenting the expedition and undertaking physiological research. Franelise Hofmeyr – Medical specialist and researcher. Together, the Hofmeyrs are studying physiological adaptation to physical stress under hypothermic conditions, using cutting edge telemetric core-temperature monitoring and point-of care blood analysis in the field throughout the expedition. Rick Smith – Wildlife cinematographer and documentarian – Rick is the primary cinematographer for the series America “The Wild” on NatGeo Wild. For him, a good adventure into the far reaches of wilderness is a means unto itself in the process of creating powerful still and moving pictures. Tristan Dunlap – Adventurer – With a degree in Civil Engineering from Montana State University, Tristan devotes his life to the outdoors, developing, building and repairing backcountry trails in Montana and Wyoming while on duty, and skiing, mountain biking, and pursuing adventure when off duty. After the Snow Hill expedition he plans to go return to academia and become a natural sciences teacher. Ozone are one of the top international manufacturers of traction kites for land, surf and snow use. Where the weather and terrain allow, we will be pulling ourselves and equipment with their help. Hilleberg are well respected for the quality, design and robustness of their expedition tents. We’ll be sheltering in Hilleberg Saivo‘s along the route and at Snow Hill Island. First Ascent is one of South Africa’s foremost manufacturers of outdoor clothing and equipment, and has a long-standing history of supporting novel expeditions. The Department of Anaesthesia & Critical Care of the University of Cape Town are funding materials for the physiological research. The Universities of Oxford and Southampton are supporting the penguin research program. Note that while the Universities are making use of the opportunity for research, the expedition is privately arranged and funded by the participants. BlueCosmo have provided a satellite communications equipment update and wireless data connectivity uplink for the expedition. There is no weather station at Snow Hill Island itself, but the Argentinian Research Base, Marambio, is located 50km away (as the skua flies) on Seymour Island. You can view their VoodooSkies weather feed and compare it to historical weather and climate data here with a very cool interface. Don’t forget to select the correct units (metric or imperial)! If you thought it looks warmer than expected, you are probably used to Celsius and are looking at Fahrenheit. 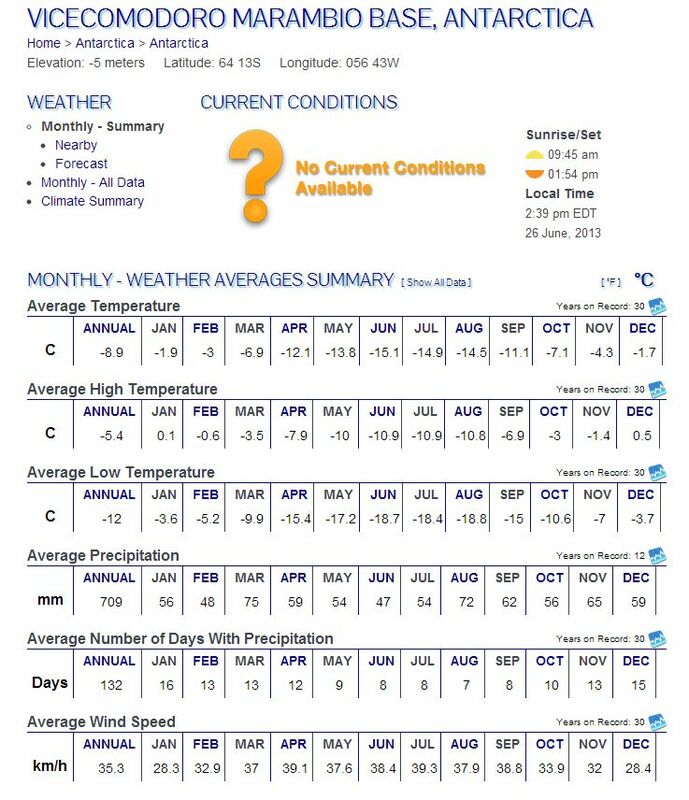 Scroll down to see the wind averages – certainly looks like we will get a chance to use those kites! Climate data for Marambio Research Station on Seymour Island.